A little glimpse of bulletin board inspiration from Country Home. 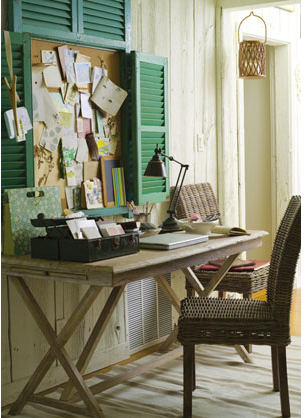 Love the louvered shutters - though I think they should hang a few pretty cards from those slats don't you? 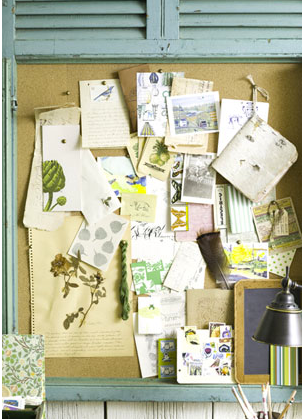 I have this secret wish that one day I'll see a picture of someone's beautiful bulletin board in a magazine and one of my cards will be pinned to it!